Dual Group 1 winner Rhododendron may make her seasonal debut at Naas on Sunday 25th March for the opening day of the Irish Flat season. The dual Classic runner-up was second to stable companion Winter in the English 1,000 Guineas and then second to Enable in the English Oaks last year. Rhododendron is one of nine entries for the Group 3 Lodge Park Stud EBF Park Express Stakes. 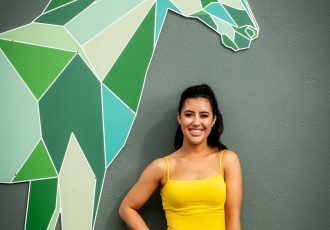 Naas have attracted a strong British entry for the opening day of the season with nine overseas entries in total including a quartet in the Tote Irish Lincolnshire. Richard Fahey’s pair of Carnageo and Third Time Lucky have been left in the €100,000 race alongside Tony Coyle’s Candelisa and the Henry Spiller-trained Third Time Lucky. Michael Mulvany’s On The Go Again also features among the 31-strong entry and the five-year-old is on course to go to Naas after ending last season on a high racking up a hat-trick of wins on the flat. Michael Mulvany said today; “He worked this morning on the Curragh and we are very happy with him so the plan is to go for the Irish Lincoln at Naas on Sunday. He’s been running over hurdles and he won’t have any problems with the ground so we are looking forward to it.” There will be plenty of fun for all the family off the track as well, as the Easter Bunny will be arriving to great excitement, while there will also be a wonderful Easter Egg trail ran by the wonderful team at the Inspire Child Development Centre to keep the children entertained. Admission tickets for Sundays racemeeting are €15 and include a free bet. 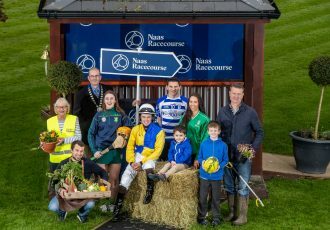 The new ‘Golden Ticket’ offer from Naas Racecourse can be purchased for €30, and this includes admission & a free bet, racecard, €5 drinks voucher and a €10 food voucher. Hospitality option are also available to purchase at www.naasracecourse.com. View full list of entries here.